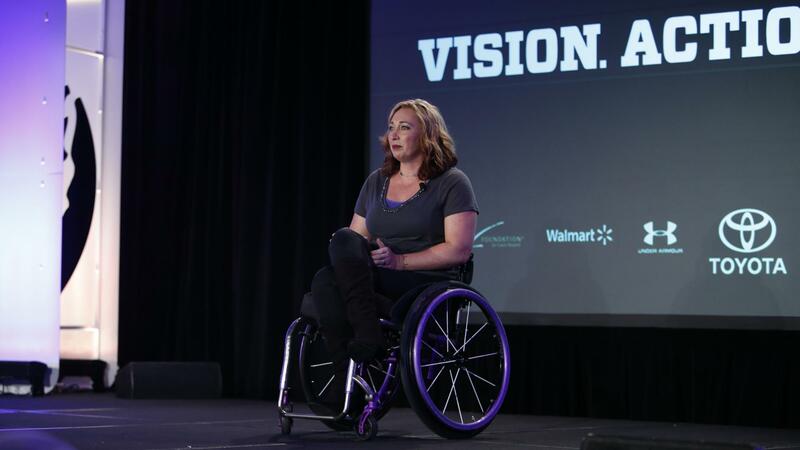 Six-time Olympic gold medalist Amy Van Dyken talks about her 2014 ATV accident that severed her spinal cord and left her paralyzed from the waist down. 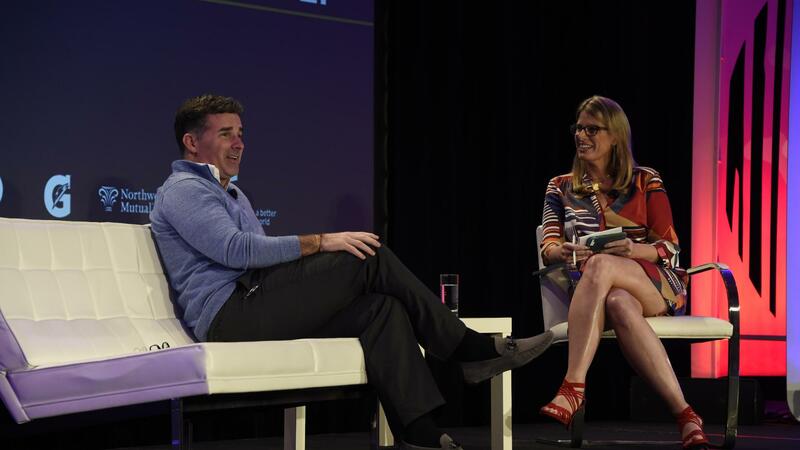 She shares her journey at the 2015 espnW: Women + Sports Summit. "The other day I took 50 steps, and it was the hardest thing I've ever done." 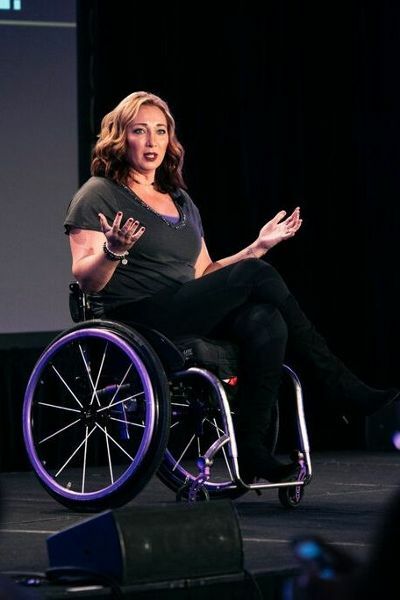 Swimmer Amy Van Dyken, a six-time Olympic gold medalist, gave a moving -- and very funny -- talk from a wheelchair Wednesday about the ATV accident last year that paralyzed her from the waist down. 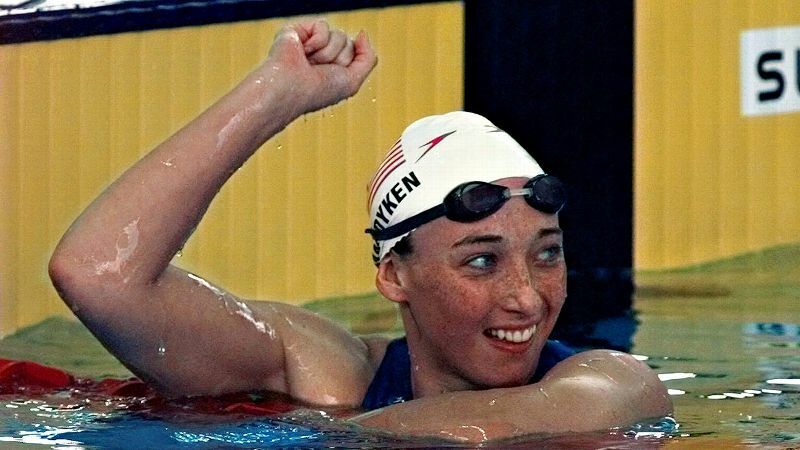 Van Dyken was driving her ATV home from a dinner with her husband, former NFL player Tom Rouen, when she crashed over a six-foot embankment, landing headfirst and severing her spinal cord. We went to dinner. I had trout and steamed broccoli. Why I bring that up? Because thank God I got a second chance. Because if that had been my last meal. Really?... Now I eat the burger, because you never know. I was dead. I did see what some would [say] the light. I can tell you what it was for me. I was in a tunnel. It was green. It was light green, dark green, it was purple. It was orange. It was beautiful. It was warm. I felt so comfortable, I didn't see anyone there. I wanted to see my grandpa. I wanted to see my dog. But I got sent back so I don't know what that means. U-turn. You tell me that my spine was severed and I would tell you that it is not. I was not supposed to make the Olympic team, but I did. 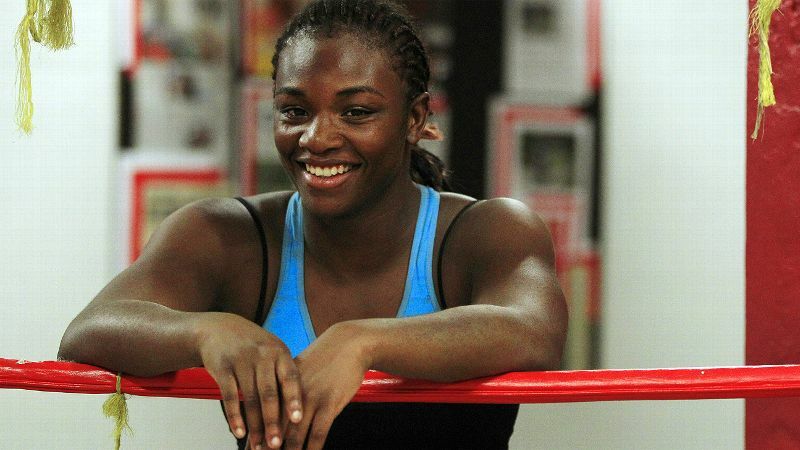 I was supposed to win a bronze medal, but I walked away with six gold medals. Don't tell me what to do. If you were told right now that tomorrow you were going to wake up and you would be paralyzed from the waist down -- would some of the things that seem like a really big deal right now, really be a big deal? Or would you call your husband, your wife, your partner. Your kids, your parents, and tell them that you love them? If they tell you "you can't,'' if they tell you "you will never,'' those are people who are jealous. They are jealous because you are better than them. They are jealous because you are fabulous. Don't listen. Because if I can walk, and I can take 50 steps ... you can do absolutely anything that you want to do. Anything.